Many of our plaques are available encased in glass and surrounded with an ornate wood frame. Frames and matting vary depending on the image. Our high quality frames create an exquisite display for this beautiful Italian artwork. 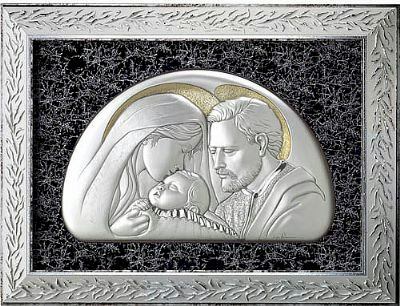 Framed Art - Holy Family Sterling Silver, matted in blue in a gold leaf wood frame and covered in glass. 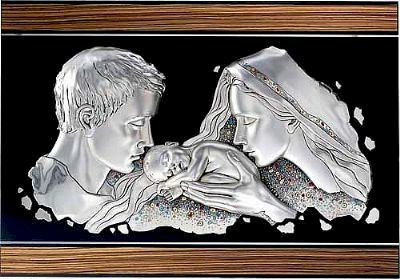 Framed Art - Holy Family Sterling Silver, mounted onto a zebra-wood frame with colored enamels and gold decoration. 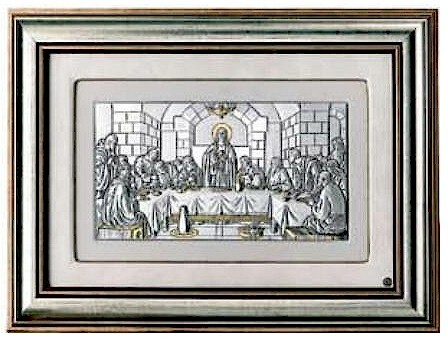 Framed Art - Last Supper Sterling Silver, matted and framed in a gold and silver wood frame and covered in glass. 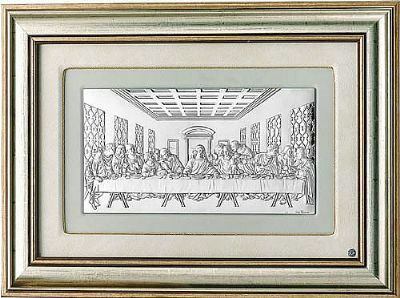 Framed Art - Last Supper Sterling Silver, matted and framed in a gold and silver wood frame and covered in glass. This is artist Luigi Pesaresi's rendition of the famous DaVinci Last Supper. 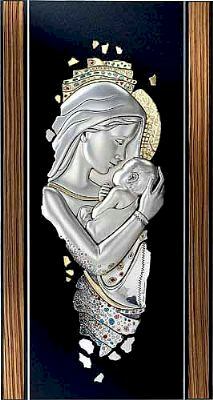 Framed Art - Mother and Child sterling silver, mounted onto a zebra-wood frame with colored enamels and gold decoration. 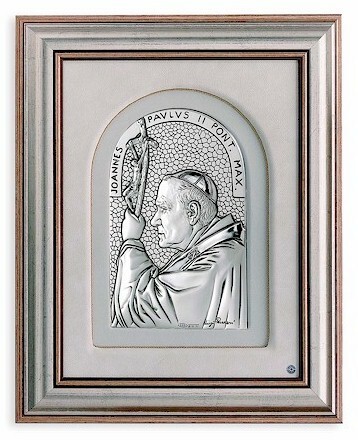 Framed Art - Pope St.John Paul II in gold wood frame, white suede matting, and leather backing.